Posted: Wed Sep 17, 2014 8:21 pm Post subject: Fantastic experience!!! I purchased *16* 8ml's last week. I thought it would take over a week to fill them all, but instead they all got shipped in two days. Everything arrived in perfect shape. Clearly, Randy cares about these fragrances. I can't be happier and I highly recommend that anyone reading this thread NOT hesitate with purchasing from Randy. THANK YOU!!! I just received my second order of decants from Randy. It was another perfect transaction. Speedy shipping and neatly labeled atomizers of some fragrances that had been on my wishlist. I couldn't be happier! This is my fifth or sixth time ordering from Ramdy. Nothing but excellent service time and time again! Randy is awesome!! 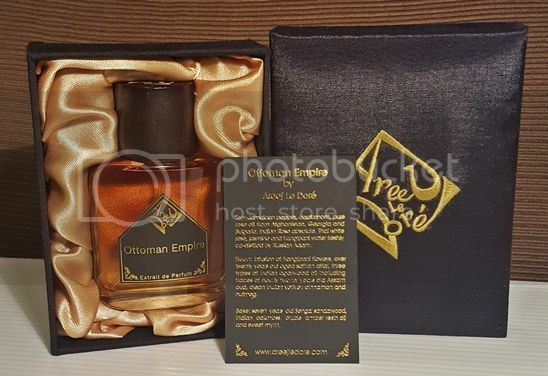 Great packaging fast shipping and has hard to find frags like lubin idole EDT. Thanks again! Would buy again from Randy in a heart beat! Very professional indeed. Posted: Sat Nov 08, 2014 4:13 pm Post subject: Massive Sale! Archerfire Decants is having a huge sale! Shop for a loved one! Always satisfied when I buy from Randy.Don't miss out. He's got some nice deals going on! Thanks, Randy! Interested in some Vintage Antaeus if you still have any. Thanks! Archerfire, I emailed to your yahoo address, did you get it? Interested in 8ml of Hermes Dans un Jardin Sur le Toit. Great exchange with Archerfire. Quality glass decants with printed labels, great packaging, shipping, and communication. Just got my decants. What a great deal! I could never afford some of these scents any other way. Thanks! Posted: Sat Jan 17, 2015 7:41 pm Post subject: New Additions and Thank You! Thanks for all the kind words! I appreciate your business. I can't stop buying fragrance! Back after a lengthy hiatus... for multiple reasons. I'm going to get out of decanting. If you are interested in any partial bottles of something I have remaining send me an inquiry. If there are some you'd like decants of, I'll do that for a while as well. I've also added some almost full bottles of some fragrance. Shoot me a message if you're interested in anything! Posted: Sun Jan 21, 2018 3:54 am Post subject: Areej le Dore Added! 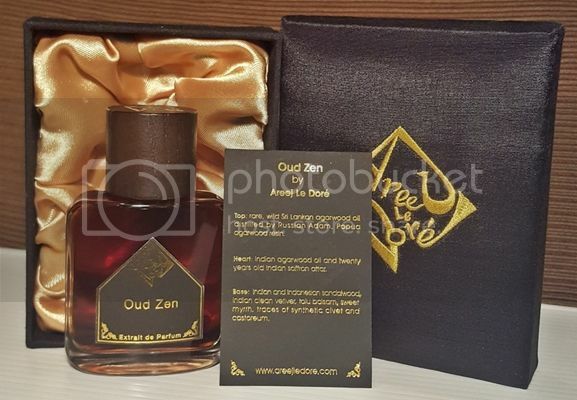 I'm offering decants on a couple of difficult to acquire Areej le Dore fragrances. These were limited to 100 bottles and use high quality ingredients. Check the main page for pricing in 2ml, 4ml, or 8ml sizes.